Kirby Ingredients began in 1992 through an agreement with a local feed ingredient supplier to package 100 tons of micro prill urea monthly, for distribution to area feed mills. This humble beginning expanded rapidly into packaging several material ingredients with increasing sales and distribution. In 1999 Kirby Agri (then Hydro Kirby) took the opportunity to purchase MarGro Feed Ingredients Corporation, a 50 year old company that gave Kirby Agri the ability to service feed mills in the Mid Atlantic Region with a comprehensive feed ingredient line of products, including premixes and vitamins. 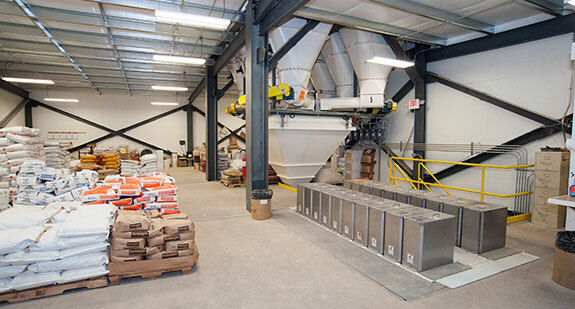 As sales and distribution continued to increase, Kirby Agri built a 20,000 square foot modern state-of-the-art facility on rail to meet the demand for premixes and minerals in the dairy, poultry, and swine industries.